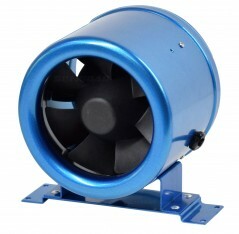 These powerful inline mixed flow fans have been designed to produce higher working pressures. 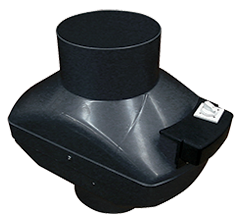 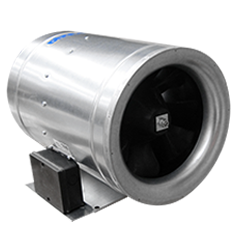 With the fan mounted in the ceiling space, these inline models are able to draw steam directly from source. 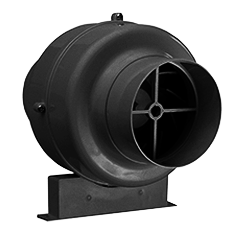 These high efficiency centrifugal fans are designed for use in situations where longer duct runs are required. 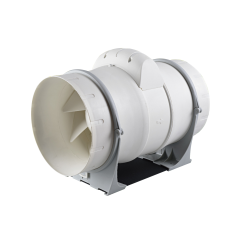 Suitable for a variety of domestic and commercial applications, these inline centrifugal fans provide a high airflow performance. 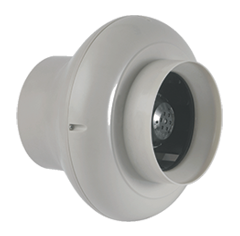 Suitable for a variety of domestic and commercial applications, especially useful in confined spaces. 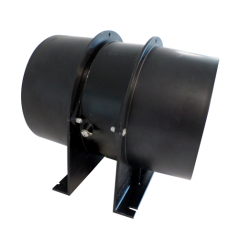 The Vent-Axia ACM range of Mixed Flow Inline fans are designed for use with both rigid and flexible ducting and offer two and a half times the pressure of conventional axial fans.